Over the past few years, online multimedia educational repositories have increased in number and popularity. The main aim of the transLectures project is to develop cost-effective solutions for producing accurate transcriptions and translations for large video lecture repositories, such as VideoLectures.NET or the Universitat Politècnica de València’s repository, poliMedia. 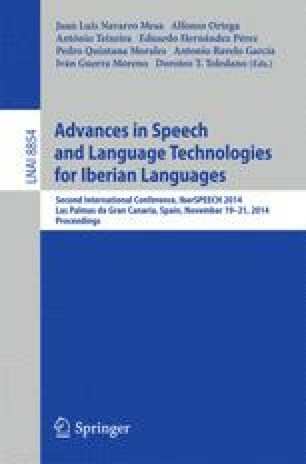 In this paper, we present the transLectures-UPV toolkit (TLK), which has been specifically designed to meet the requirements of the transLectures project, but can also be used as a conventional ASR toolkit. The main features of the current release include HMM training and decoding with speaker adaptation techniques (fCMLLR). TLK has been tested on the VideoLectures.NET and poliMedia repositories, yielding very competitive results. TLK has been released under the permissive open source Apache License v2.0 and can be directly downloaded from the transLectures website.